I'm sorry I’m not a tech savvy person, but I haven’t played Don't Starve in quite awhile but I wanted to get back into it to try and finish the RoG adventure game that I had started a while back. 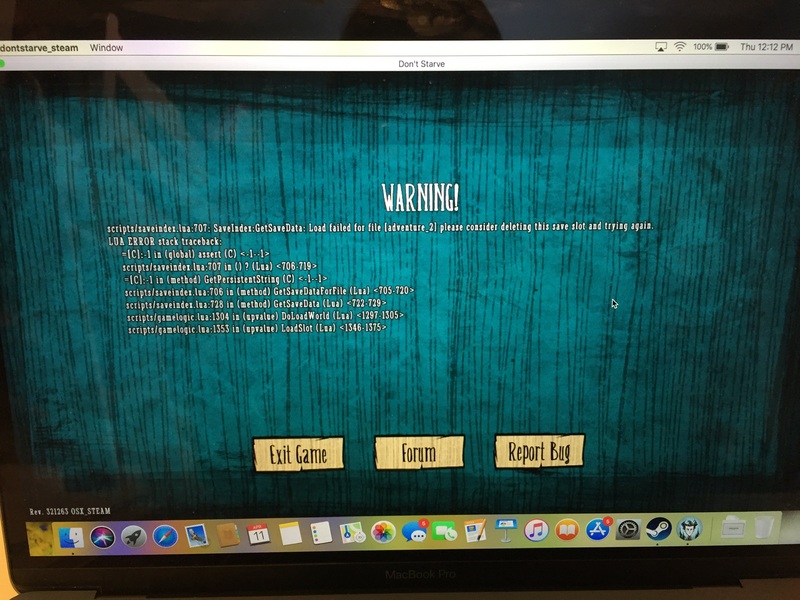 My game updated and for whatever reason, the save file was listed as a shipwrecked file (Even though I created it as a reign of giants one) and when I clicked on it to load the save, it gave me this error message and closed the game. My other save file is a shipwrecked file, but it works fine. Is there anyway I can get my save back, or is it lost for good?